On behalf of EcoRise Youth Innovations, congratulations on being selected for an Eco-Audit Grant! 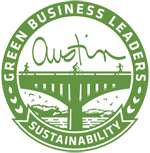 Your application met or exceeded all required criteria and demonstrated an impressive commitment to empowering students as leaders in the design and implementation of green campus projects. Congratulations on your achievement and thank you for making your campus a healthier, more sustainable place-- We look forward to seeing the final product over the coming months! This page contains important information on required next steps to ensure your campus receives funding in a timely manner. Please note that we are unable to make the check out to a teacher or student. EcoRise may use a photograph, video or audio recording, and/or written work for public relations purposes and/or training activities. It is the school's responsibility to ensure media release paperwork is on file for any materials submitted that include student images or information. Please complete and sign the statement below. Your signature indicates that you have read this information and have required consent paperwork on file for all materials submitted. By typing your full name above, you accept our media release policy. We will acknowledge EcoRise partnership, award, and students' accomplishments via school website, newsletter, social media, or in other publications. We will submit at least three photos of the project(s) in progress. We will submit at least three photos of the completed project(s). We will keep a copy of receipts on file for a minimum of one year for all expenses incurred relating to the Eco-Audit grant. Please check each box to accept the terms of the Eco-Audit Grant award. "The most inspirational thing is seeing and hearing how small designs can truly make an impact in the world."